Americana duo Birds of Chicago is a marriage, literally, of singer-songwriters JT Nero and Allison Russell. Formed in 2012, the group has developed a loyal following through their relentless touring schedule. Since their last full-length project, Real Midnight (2016), the Birds have flown from Chicago to Nashville, where they now reside. Their new album, Love in Wartime, co-produced by Luther Dickenson, reflects the sounds of both hometowns as the duo artfully intertwines elements of country, folk, blues and rock. Love in Wartime is jam-packed with carefully crafted songs and inspirational lyrics that celebrate life and love despite troubled times and the daily grind. This entry was posted in Folk and Country, Popular, Rock, and Misc. 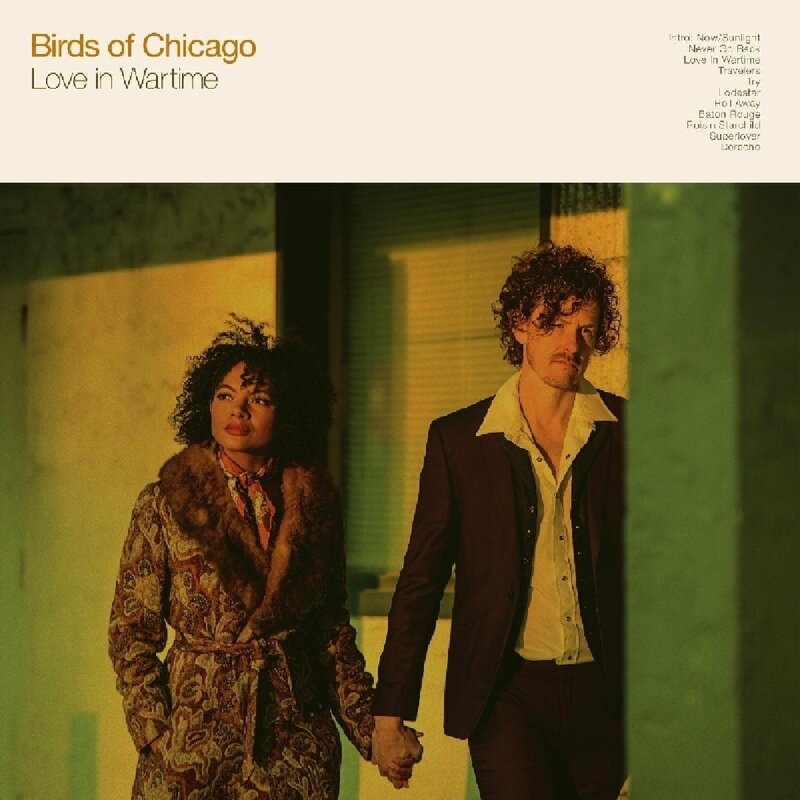 and tagged 2018, 2018 music, 2018 music review, Birds of Chicago, Brenda Nelson-Strauss, CD review, Folk, Love in Wartime, Signature Sounds by aaamc. Bookmark the permalink.